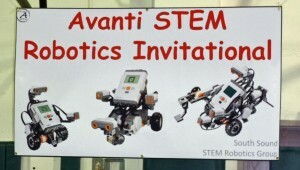 The fifth annual South Sound STEM Robotics Invitational (formerly the Avanti STEM Robotics Invitational) is scheduled for Monday, June 2 at Jefferson Middle School (2200 Conger Ave, Olympia) from 9:30 a.m. to 1:30 p.m. 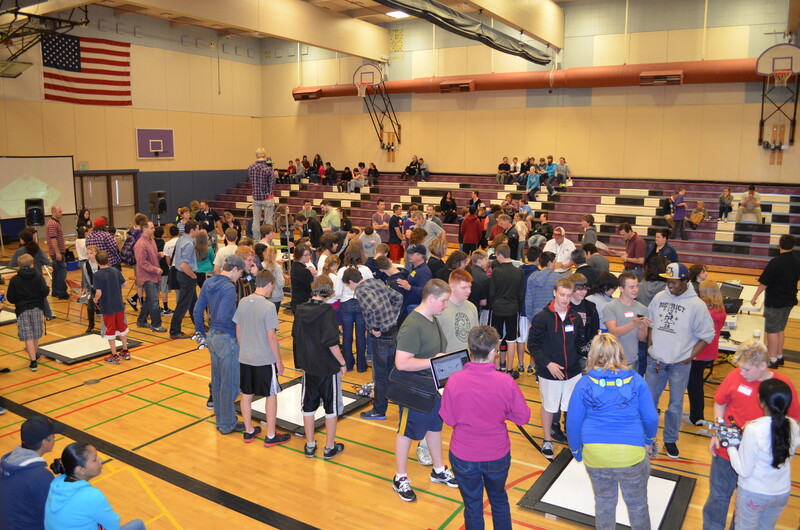 The 50% annual growth rate of this event continues this year with 28 schools from 12 school districts arriving from Camas to Everett for the competition. This annual event takes challenges from OSD’s STEM Robotics 101 curriculum and is open to schools in Washington using this free online resource (among the 800+ registered teacher-users around the world to do so). 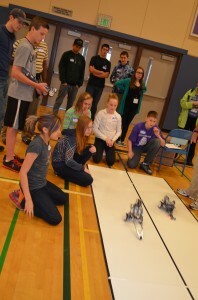 Teams from elementary through high school will compete in three events; Robo-Dragsters, Line Racers and Sumo-Bots. Due to growth, this year separate Elementary/Middle and Jr. High/High School Divisions will run concurrently on different events. First and second place awards will be presented for top performers in each division for each event, as well as overall School Champions for Elementary/Middle and Jr. High/High Schools. In the Robo-Dragsters, robots must begin racing on the starting “flag”, race straight and fast in their narrow lanes to the finish line, and stop as a result of sensing the dark finish line. Due to the close finishes of past events, winners will be determined by instant-replay photo-finishes. 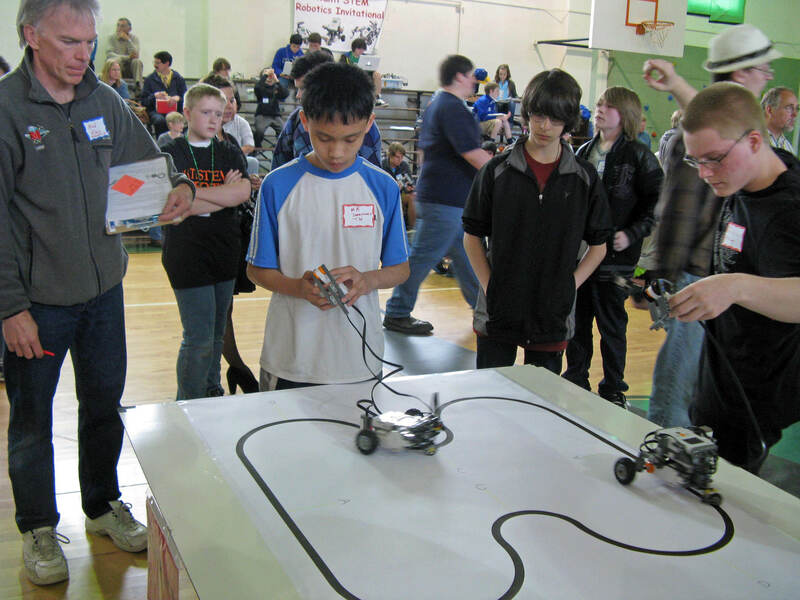 In the Line Racer, robots must follow a dark line around a curvy, looped course – a course which contestants do not see until the day of the competition. Teams may control their robot’s speed through a wired-remote-control as they walk it around the course, however they cannot steer the robot – it must be tracking the edge of the line at all times by itself. Competing robots start on opposite sides of the course and the race is over after 2 laps, or when one robot catches up to the other. In the Sumo-Bots, opposing robots attempt to push each other out of a 3-foot square arena. Teams must design, build and program a robot which keeps itself inside the white arena while attempting to push its opponent entirely onto the the black border. 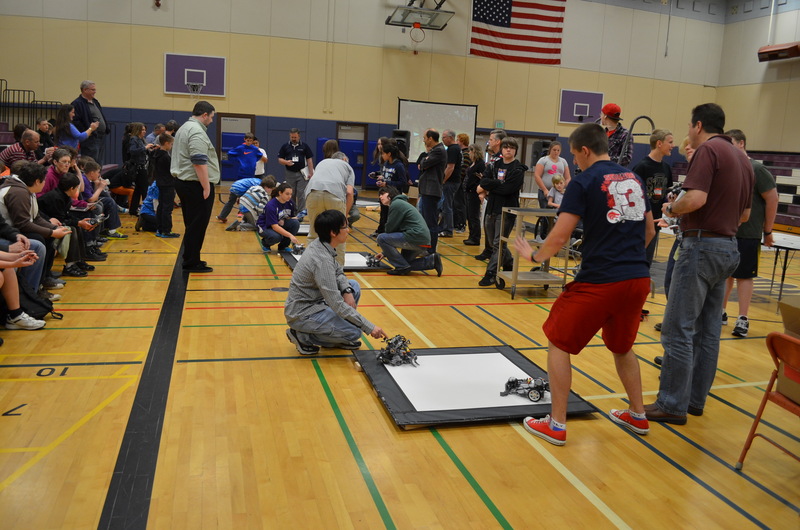 If one robot becomes unable to move while the other still can, the mobile robot is declared the winner. 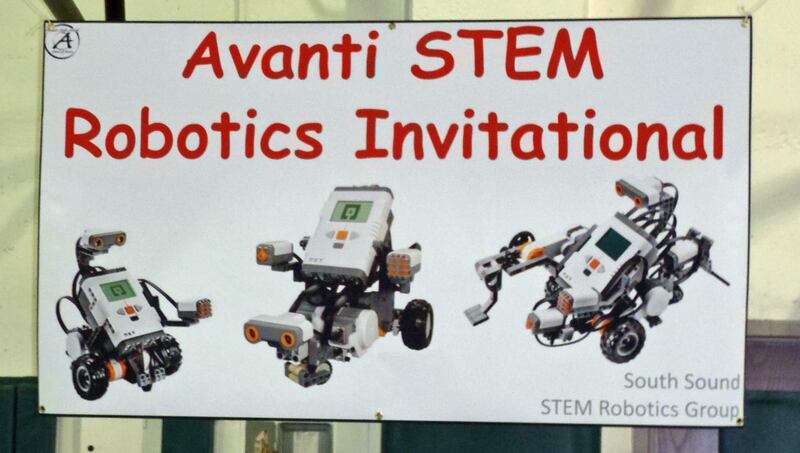 STEM Pals is seeking to recruit adults volunteers to help officiate this year’s Invitational. Since the two divisions will be running in parallel , twice as many volunteers will be needed than in past years. 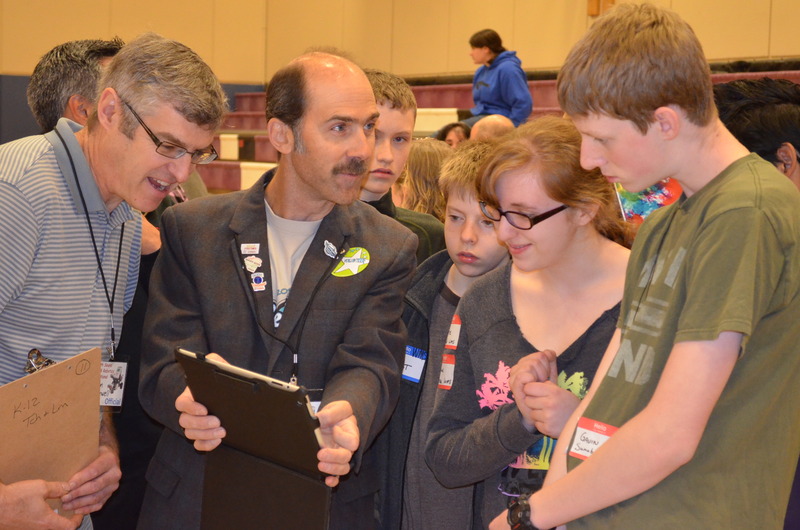 No previous experience is required and officials be trained the morning of the event before the teams arrive. If you, or someone you know, would be interested in help making this event a success for our students, please see this Volunteer Need page.